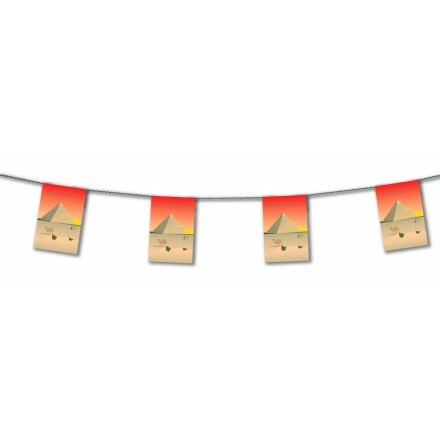 Oriental flame retardant paper bunting flags, with an elephant, Indian décor. Length is 15ft / 4,50m, 8 rectangular flags 30 x 20cm. Perfect to give joy to your private party. Oriental Cut Out. Printed both sides, circle shape, 30cm diameter. Ideal for oriental themed party. Indian Cut Out. 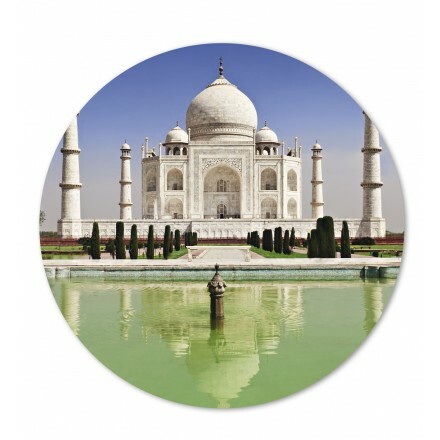 This paper card cutout is printed both sides, circle shape, 30cm diameter. Ideal for Indian Themed Party. Oriental banner, Taj Mahal Bunting, Flame resistant, 15ft / 4,50m long 8 rectangular flags 20x30cm printed both sides. Ideal for room decorating. Low price for very high quality. 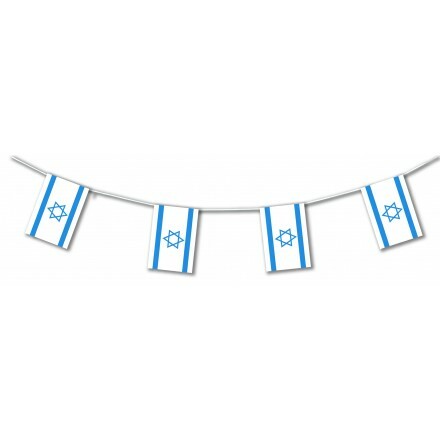 Israeli plastic flag bunting 17ft/5m lengths 10 flags 8x12inch/20x30xcm or 33ft/10m lengths 20 flags 8x12inch/20x30cm. Indoor and outdoor use. Give any colours for your Patriotic decoration, Jewish Party. Israeli flag is white background with blue star. 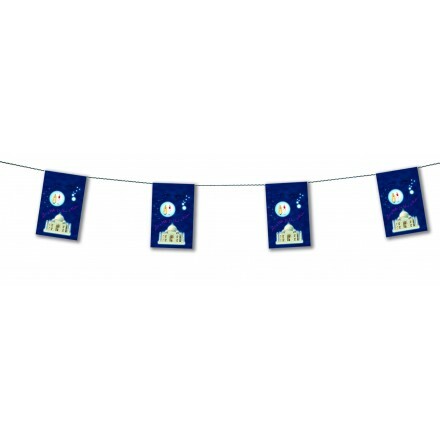 Our modern Israeli banner will be perfect for your garden party, event, birthday and religious party. 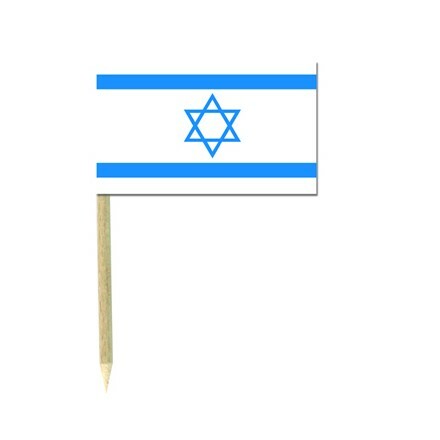 Israel paper hand-waving flag 5,5x8inch/14x21cm plastic stick 37cm, pack of 100. Our top quality Israeli hand wavers are very popular in the UK. If you want to support your country's team while sports game live, this will offer the good colours for sure while your party. Deco Party UK propose four different Israel flag party supplies. 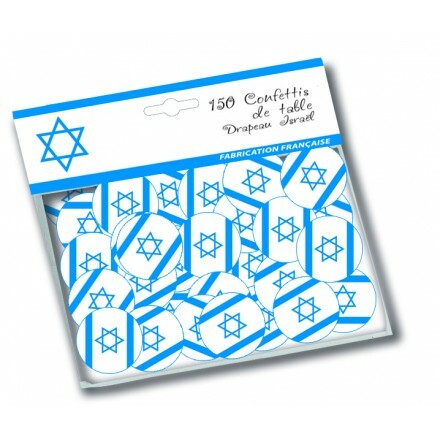 150 table confetti Isreali flag 1inch/25mm diameter. This Israeli table decoration is perfect for Bar Mitzvah, Bat Mitzvah and Mazal Tov. All Jewish party will be decorated with great success. For every occasion and cocktail our Israeli flag confetti will give colours to your party decoration. Party supplies made by Deco Party UK. Deco Party UK makes plastic oriental country flag banners for indoor or outdoor use and also offers flame-resistant paper Taj Mahal banner, Israeli bunting flags, Egypt Bunting Flags, pyramid banner for indoor decoration. Several lengths are available as 4,50m, 5m and 10m long. We also can make your own lengths and your own designs. 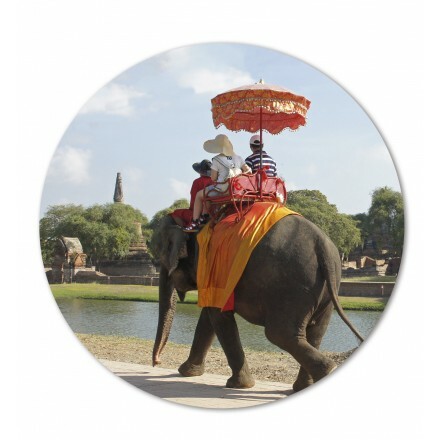 Buy online our oriental banners for a very low price ! 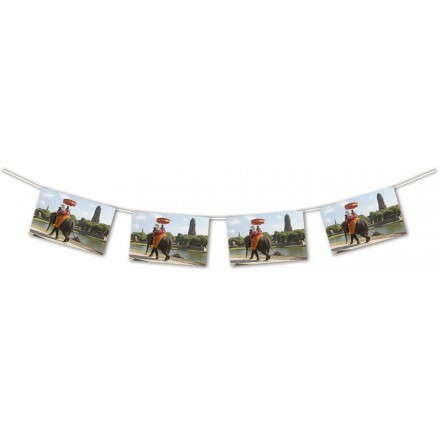 Very popular in the UK, we produce original hanging decorations. 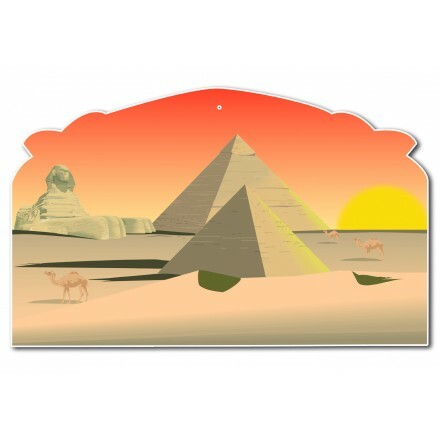 Easy to hang from the ceiling, from the wall or to stick to the window, our Egypt Pyramid Cut Outs are printed both sides in paper card. 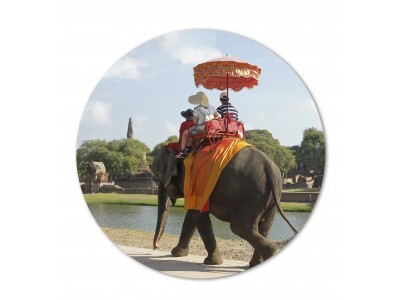 We also supply oriental elephant cut out, circle shape, 30 cm diameter, with a hole to hang easilly. Top quality oriental cut out ! Buy online and sprinkle on the table our unique and original Israeli flag confetti, circle shape, 25mm diameter, printed both sides. Need any Israel party decorations ? We also can create those confetti for other oriental themed party. Need any other oriental theme party decorations ideas ? Deco Party UK makes high quality Israeli cocktail picks, ideal to jazz up your sandwiches, canapés, pizza, burgers and much more. Paper flag measures 3 x 5 cm and food wood stick measures 7,5cm long. If you need further Indian Party Decoration Supplies we also can create Indian cocktail sticks with special enquiry. 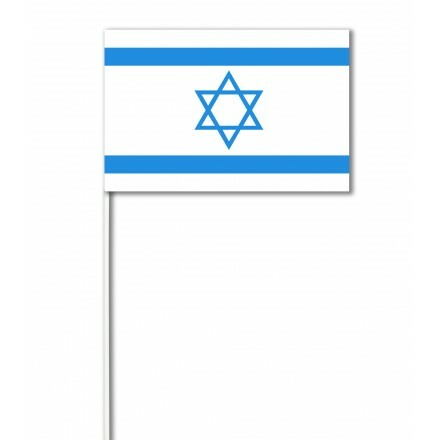 We have supplied Israeli Hand-Waving Flags, also called Israel Hand Held Flags. If you need any for Indian Themed Party, feel free to send us your enquiry and we can produce Indian Handwavers or Egypt Handwavers. Each flag measures 14 x 21 cm and plastic stick 37cm long. Would you like to buy from our factory our oriental party decorations in bulk ? You have been a wholesaler, importer, retail shop, communication agency or just a reseller and you need better prices ? Feel free to contact us by email or by phone and we will offer special prices to satisfy your needs. We are able to supply large quantities as we have made high quantity each day of production. If you would like other kind of oriental party decorations as oriental hanging swirls or more choice for a fantastic atmosphere we can create new items to celebrate all your oriental party decorarions ideas !